The basic constructions of DC tachogenerator are shown in fig. 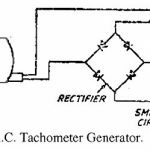 The dc tachogenerator is a small dc generator. The armature is driven by motor shaft whose speed is feedback. The rotor iron cored and field is a permanent magnet. 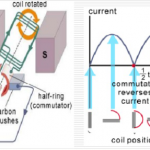 The armature of a dc tachogenerator is of similar to design to that of conventional dc motor. These generators are normally provided with more than two poles for a smooth output. 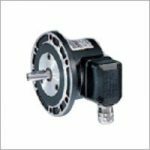 When the rotor is stationary, there is no relative motion between a magnetic field and winding, the output voltage is zero. 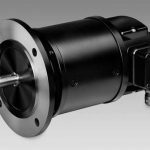 As the rotor speed increases, the relative motion between a magnetic field and winding also increases and hence the output voltage induced in the winding.